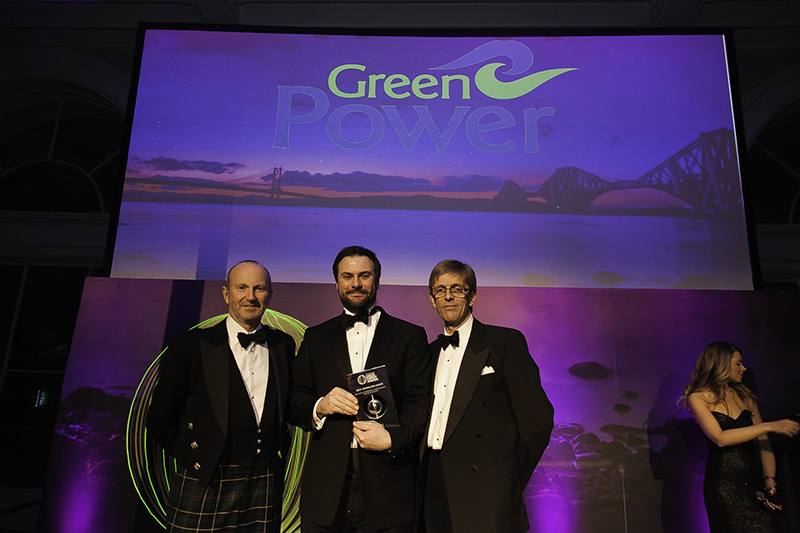 On 5th December 2013 we celebrated with over one thousand industry representatives and their guests the success of the Scottish renewable energy industry at the Scottish Green Energy Awards held at the National Museum of Scotland. This prestigious event rewarded organisations, projects and individuals who have demonstrated outstanding performance. GreenPower’s Director Phil Parkin was honoured to serve on the judging panel and to sponsor and present the “Best Journalism Award”. He reported, “The entries submitted for this award and the other categories were all of an extremely high standard. The Journalism Award had submissions ranging from national and regional newspapers to industry specific publications. We were looking for well written articles which promote understanding of Renewables in an informative, accurate and balanced manner”. The winner of the award was Neil Evans, Environment Correspondent for Holyrood Magazine.